Common paper wasps you see hanging from the window sill are one of several species of polistes wasps. This particular one illustrated is p fuscatus. 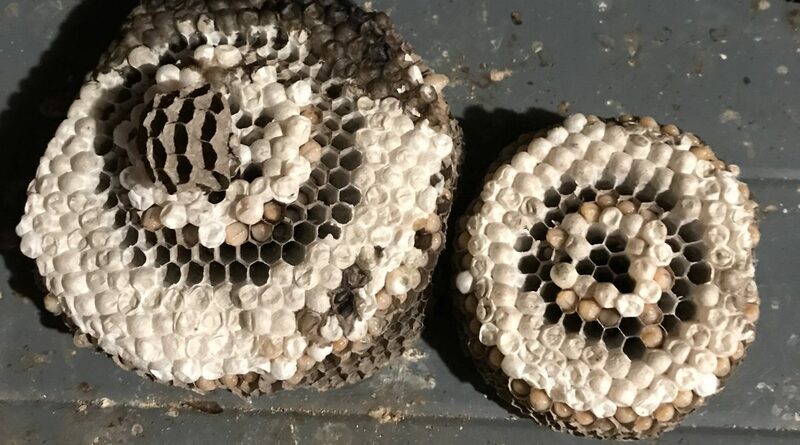 Like all wasps (vespids) they start a new nest each spring and don’t use the same nest twice. Bees For Medicine provides free removal of your live wasps, yellow jackets, and hornets in the greater Knoxville area. . . No chemicals or sprays are used in our removal process . . . insect venom is sent to a laboratory where it is used for medical products and applications. Bees For Medicine Powered by WordPress.com.